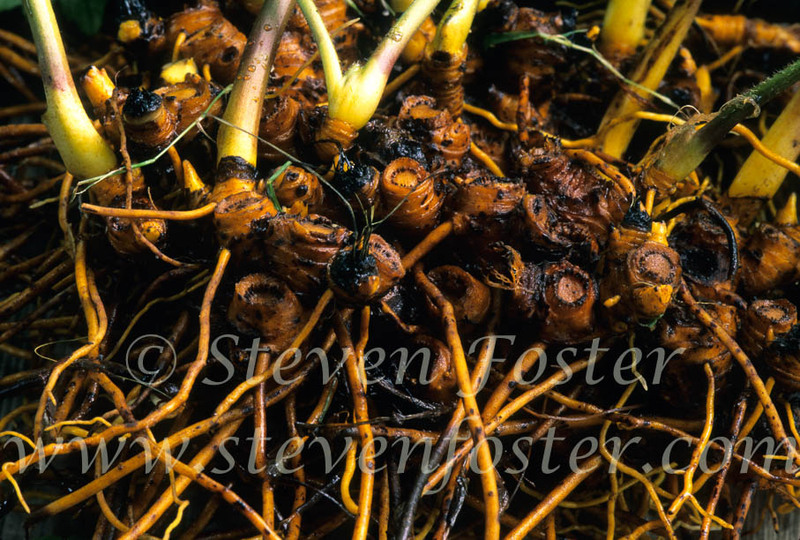 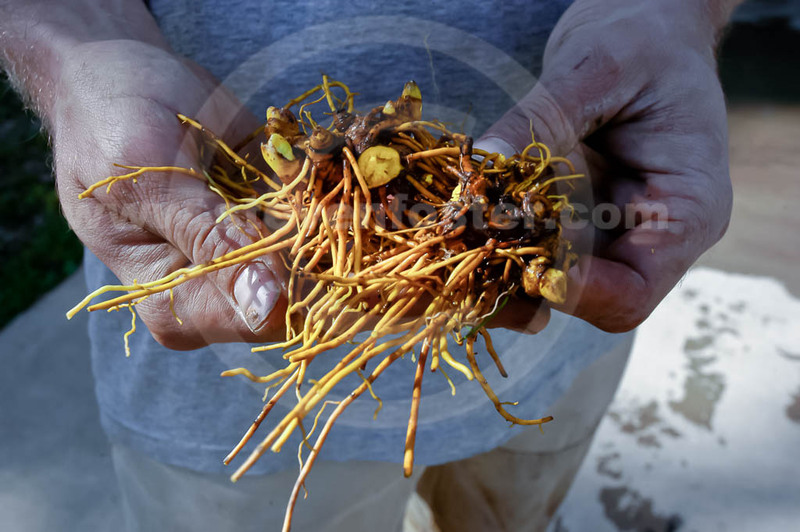 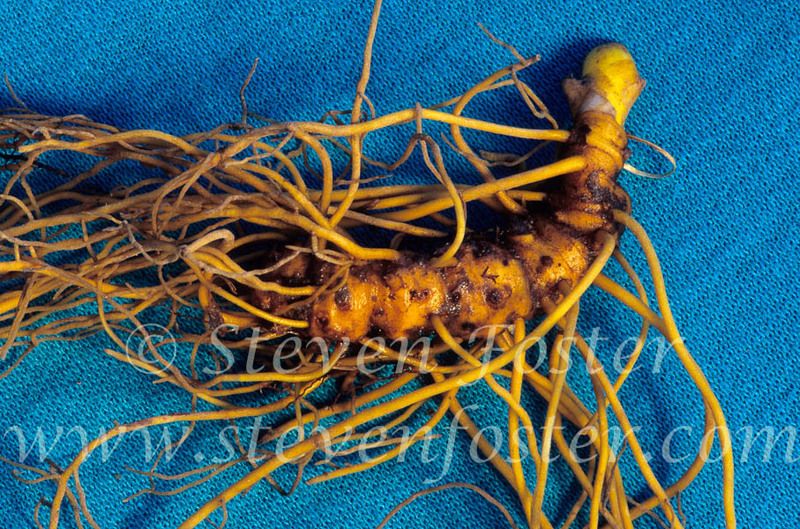 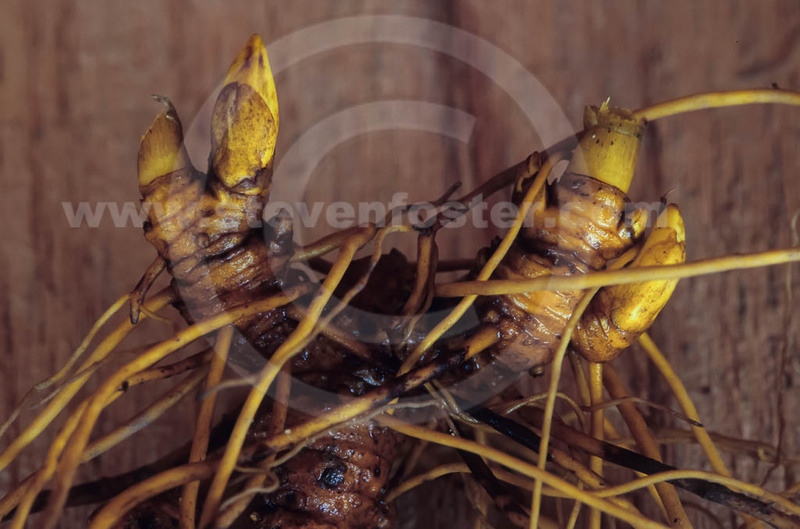 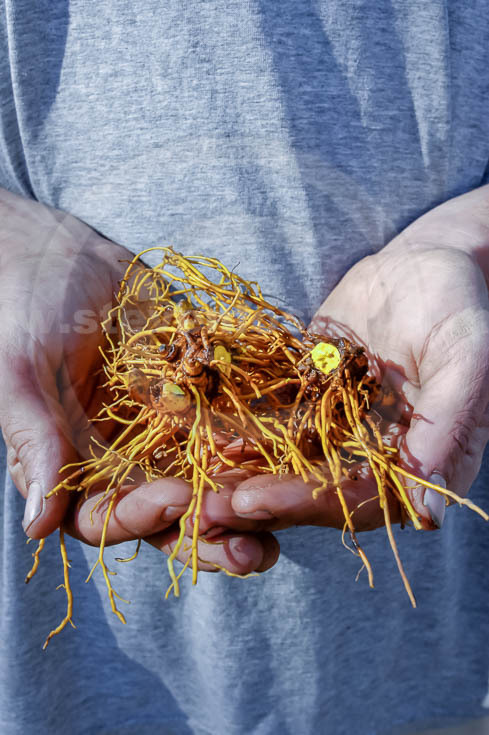 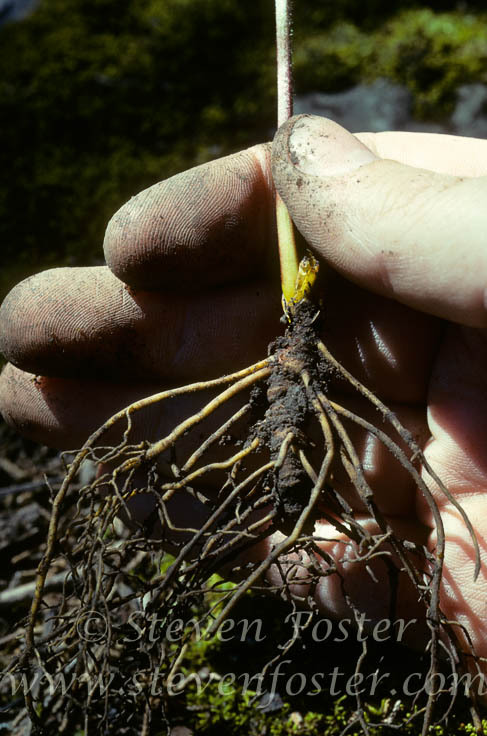 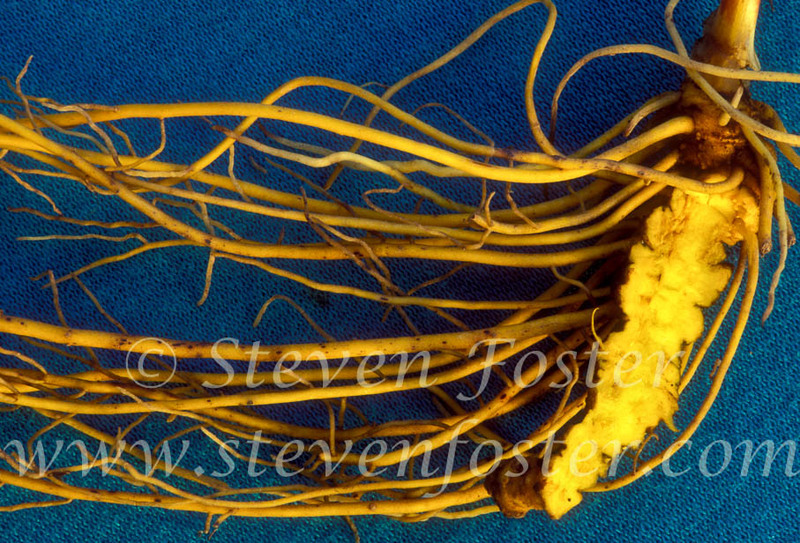 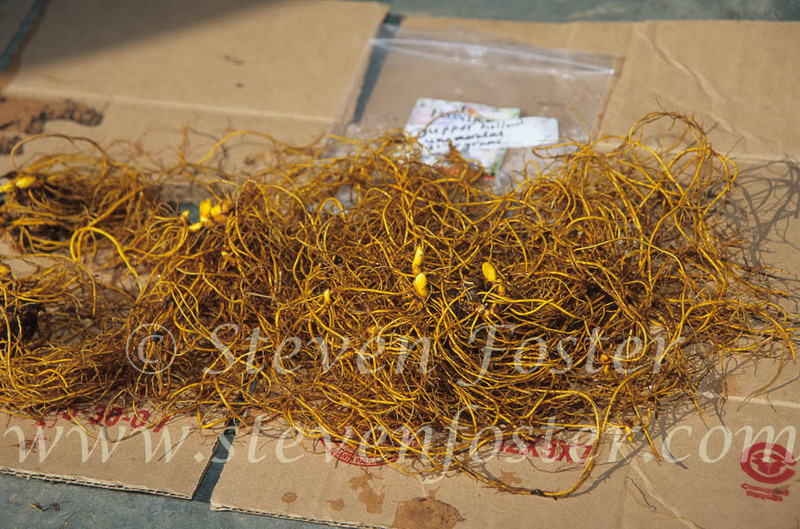 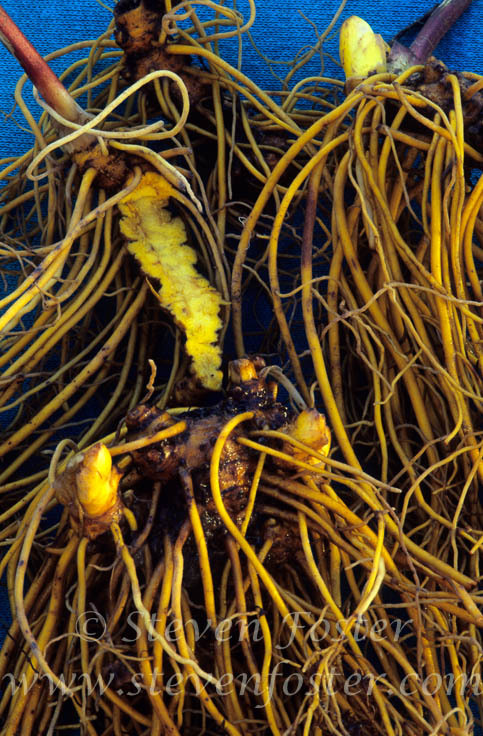 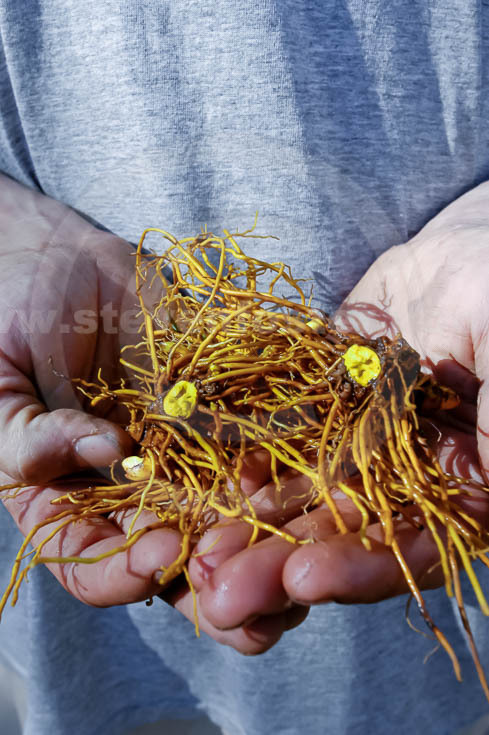 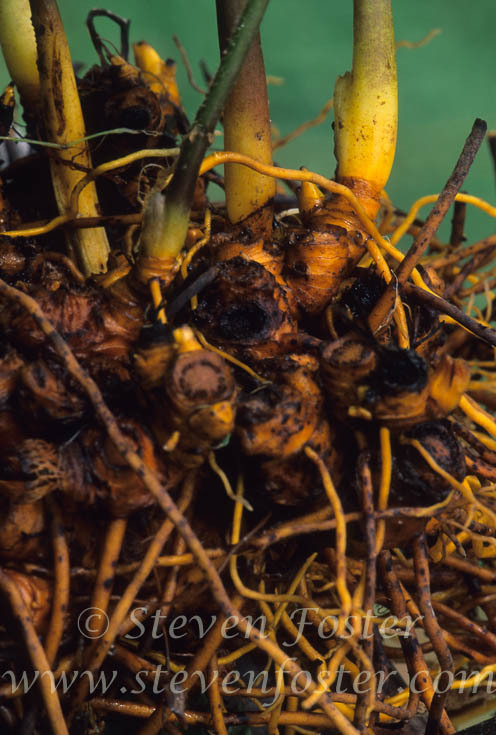 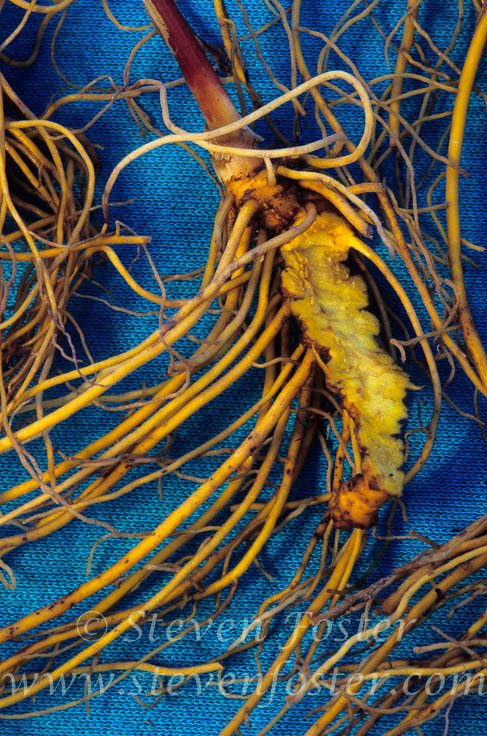 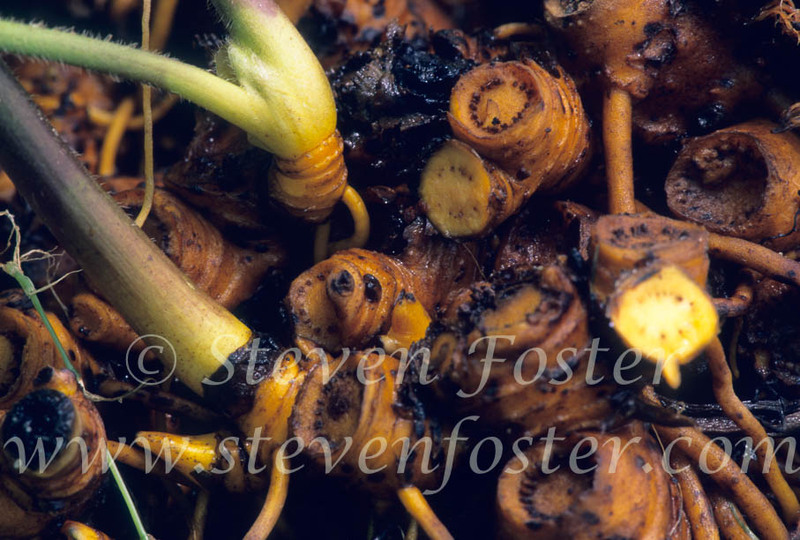 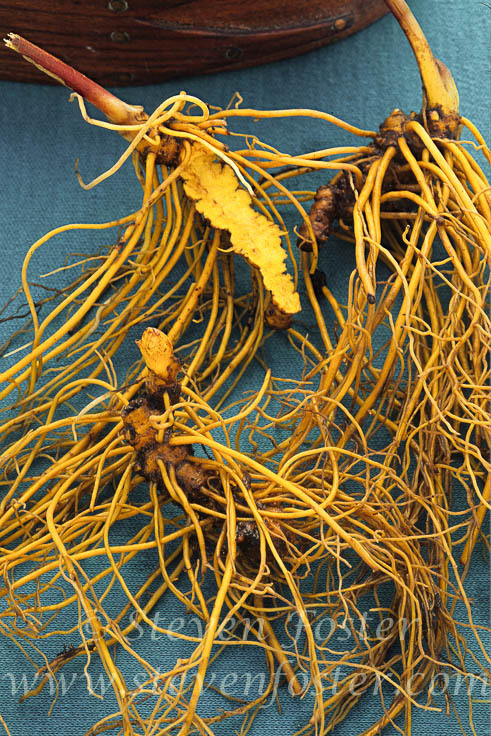 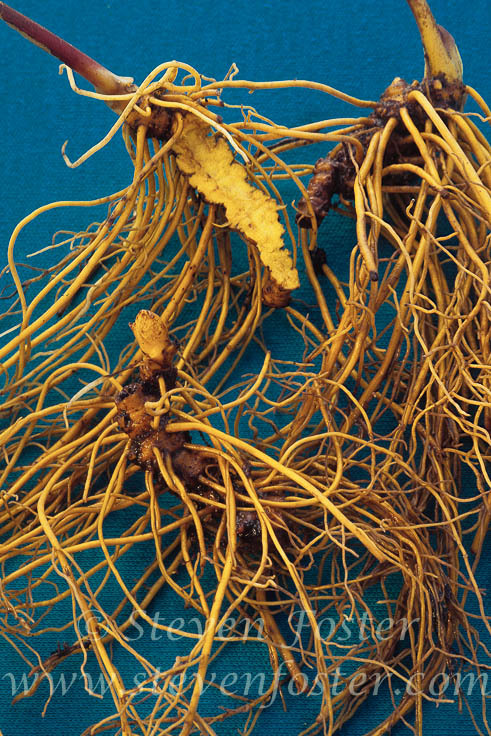 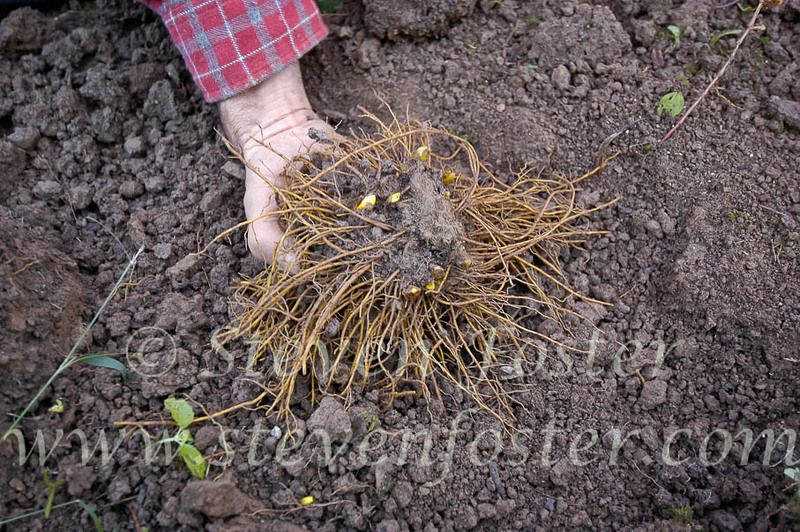 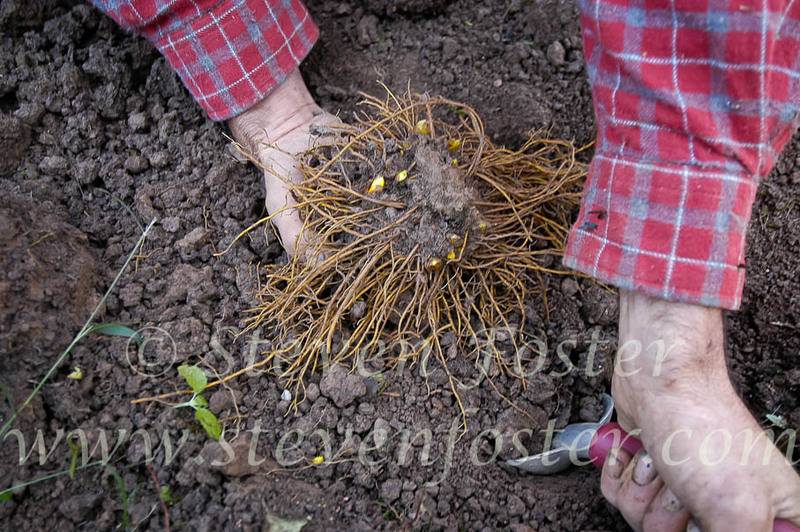 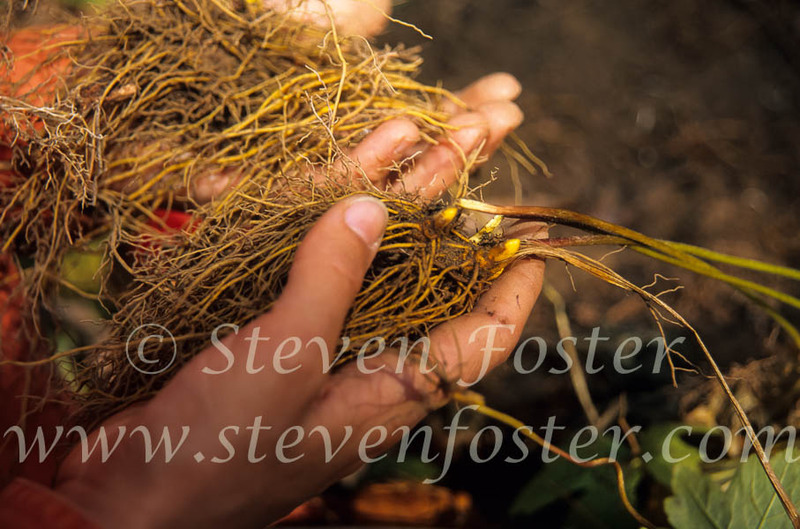 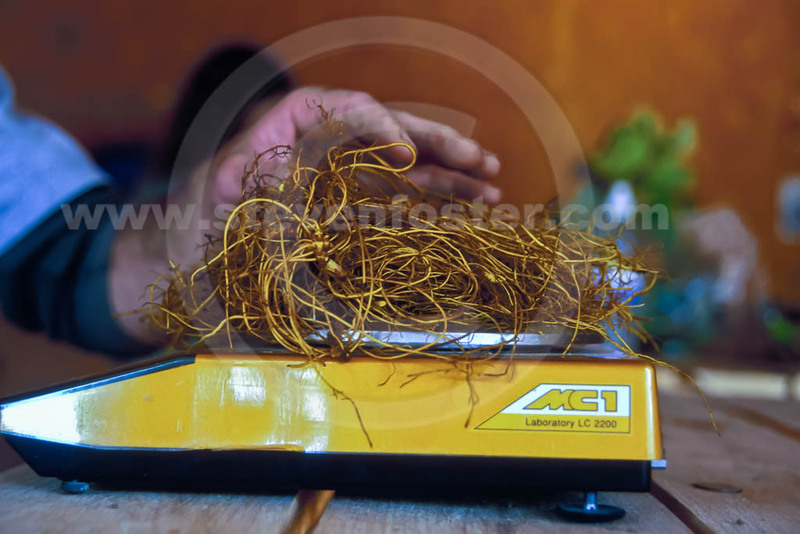 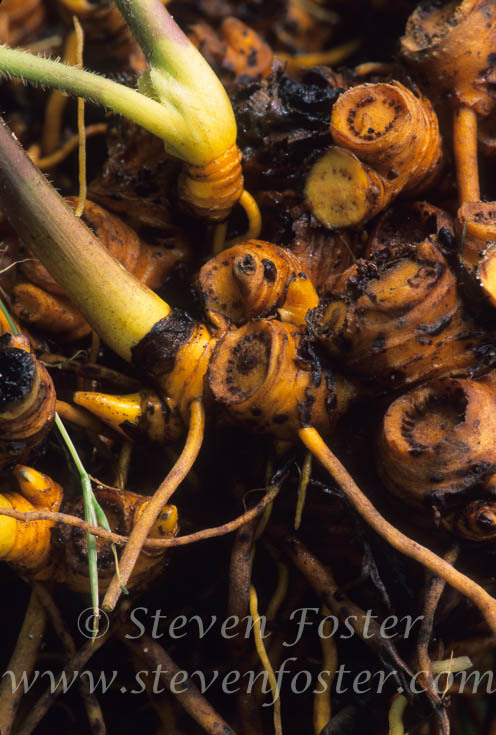 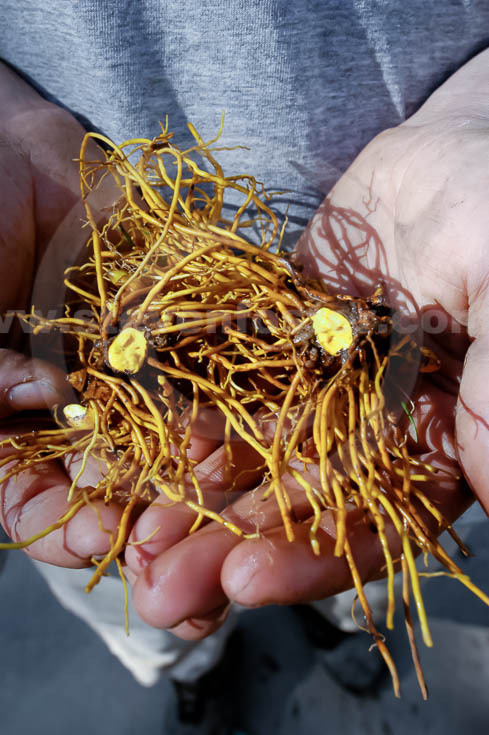 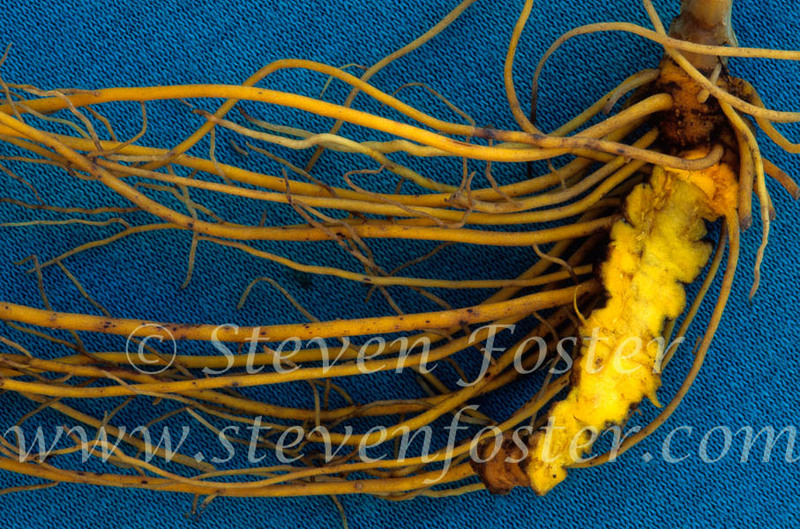 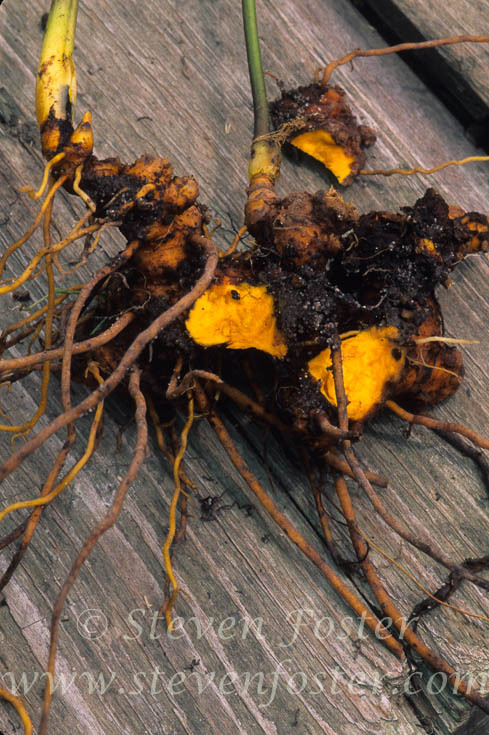 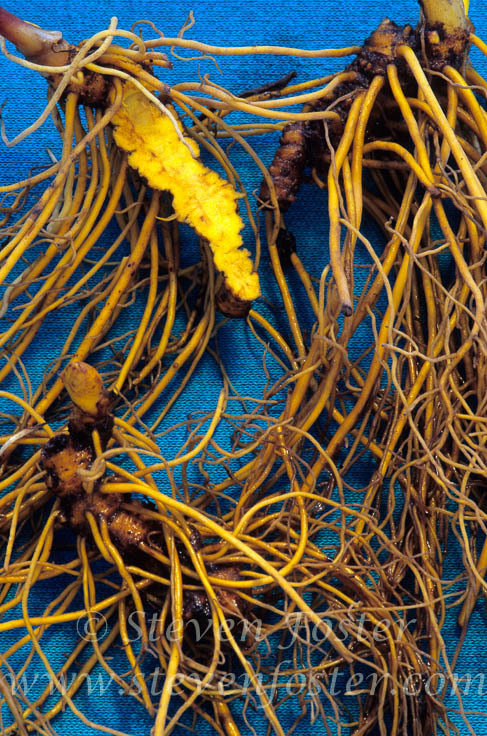 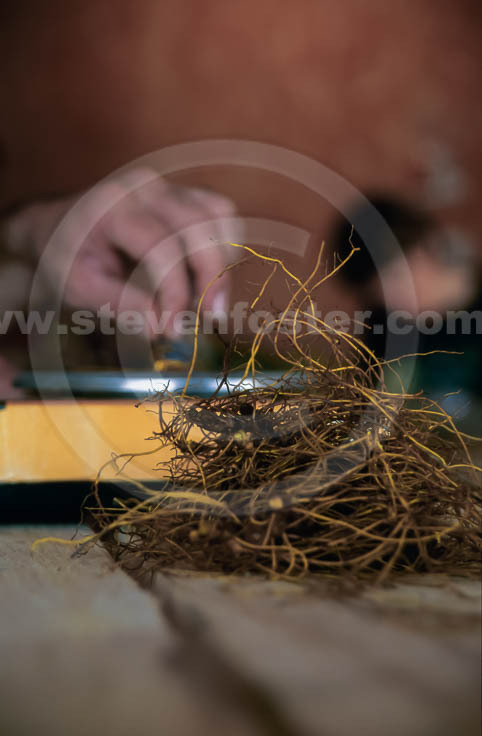 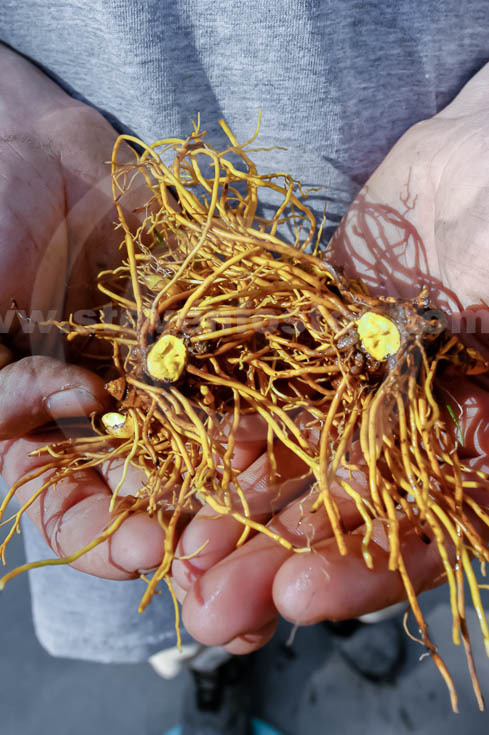 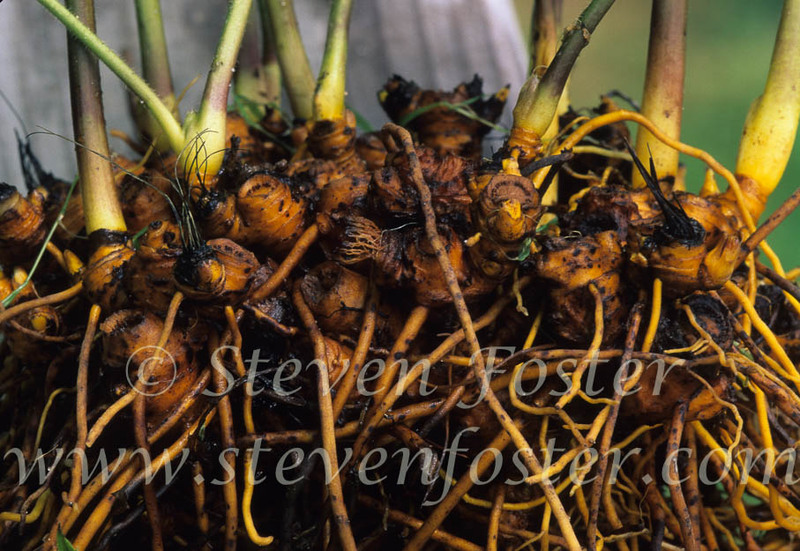 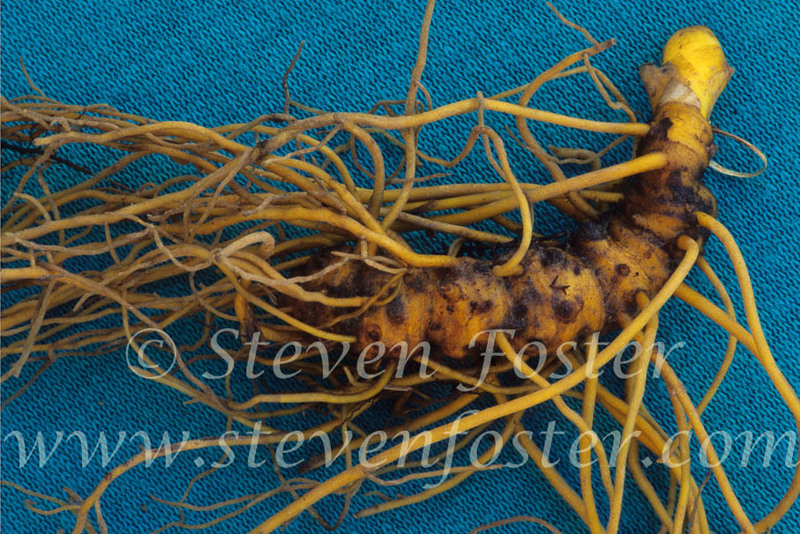 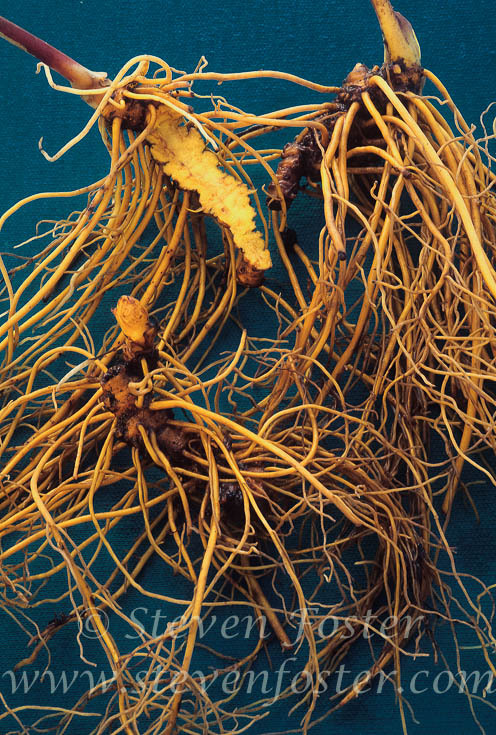 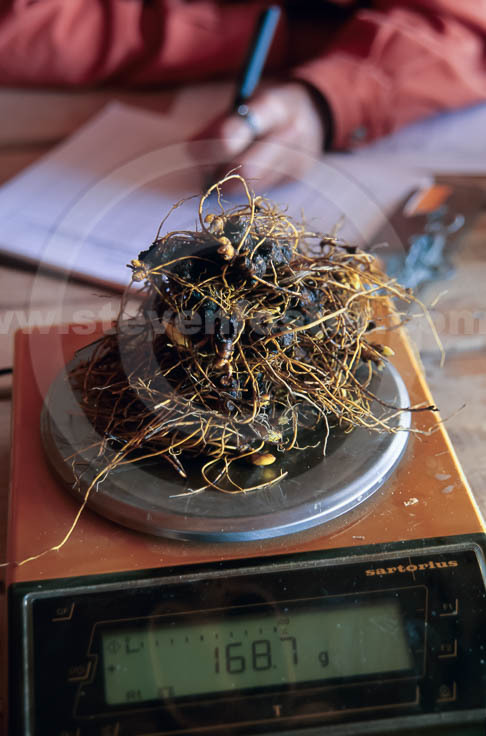 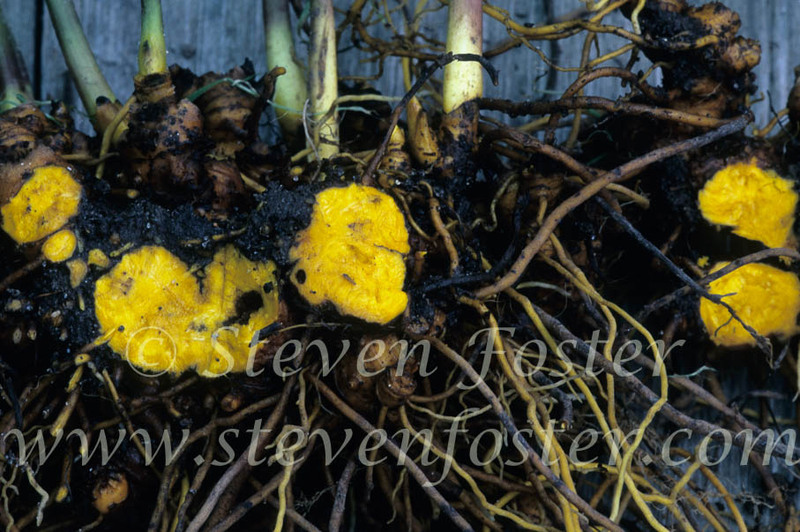 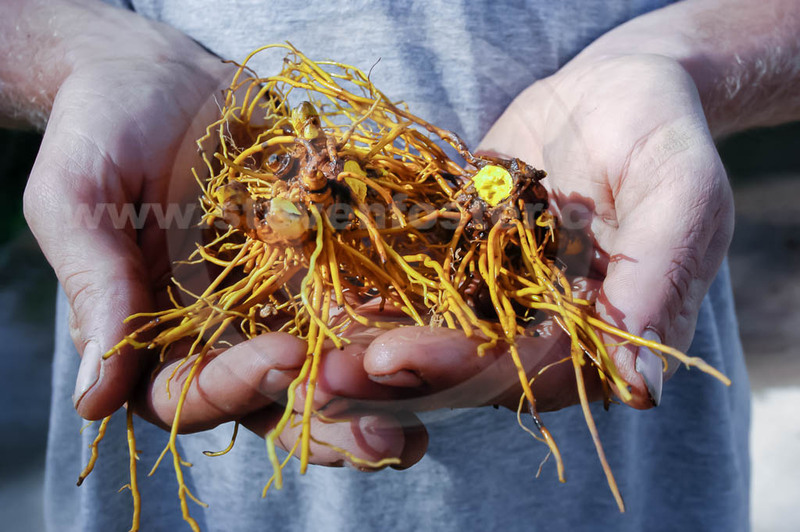 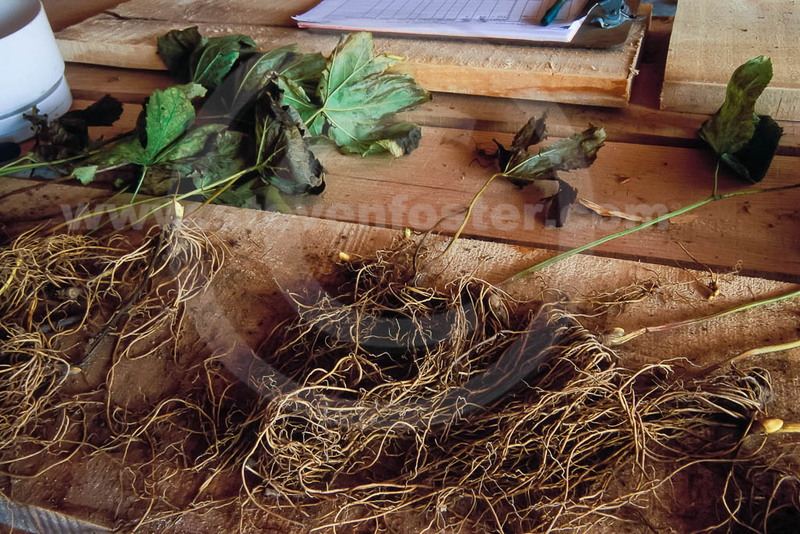 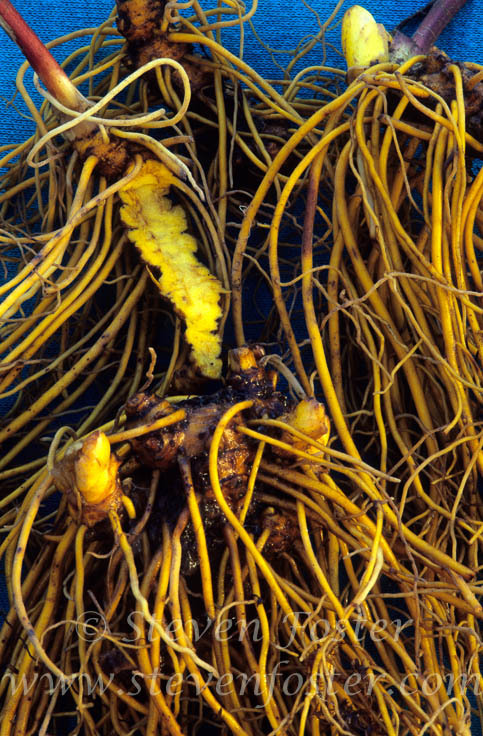 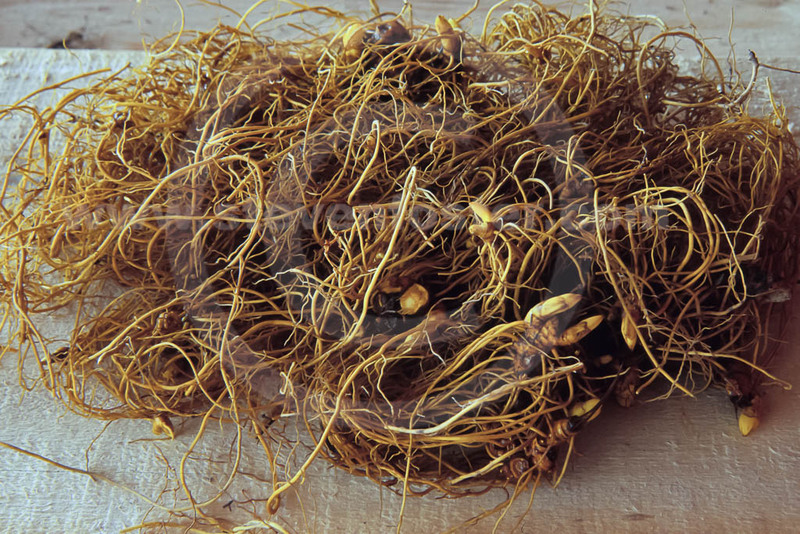 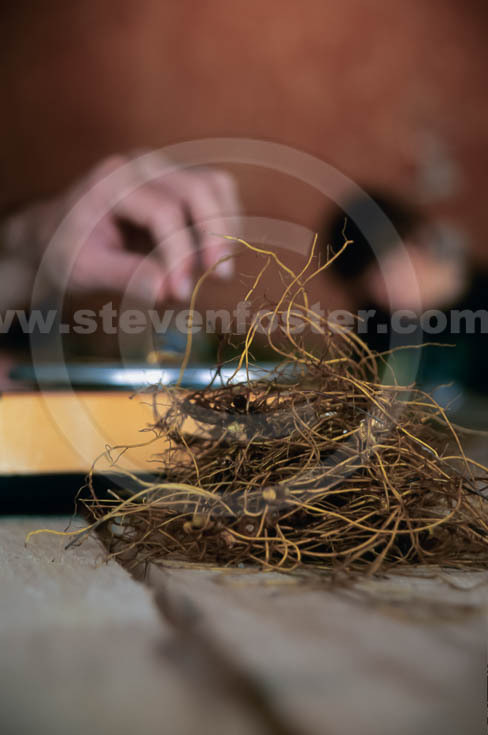 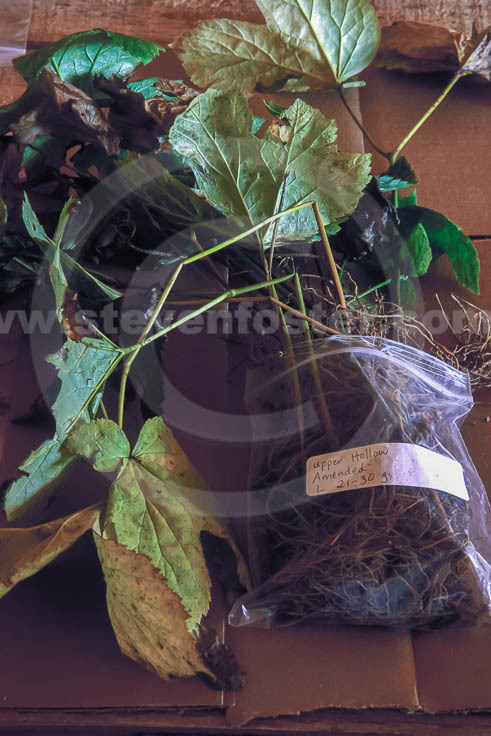 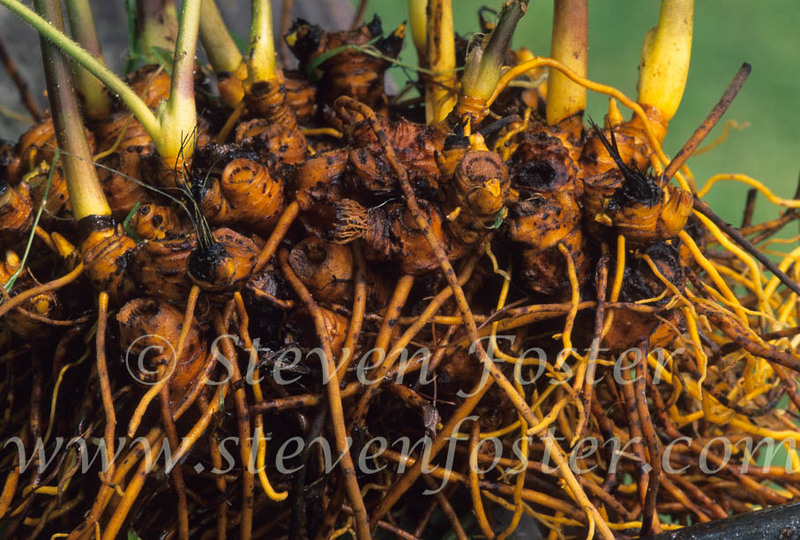 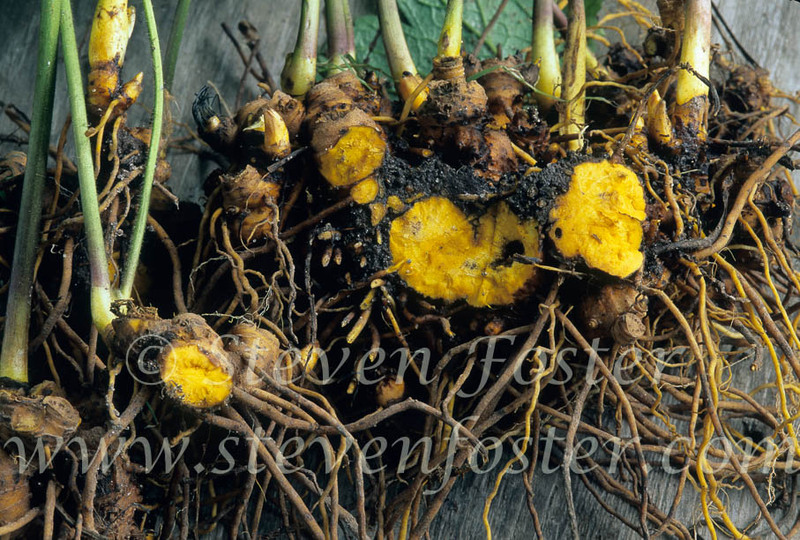 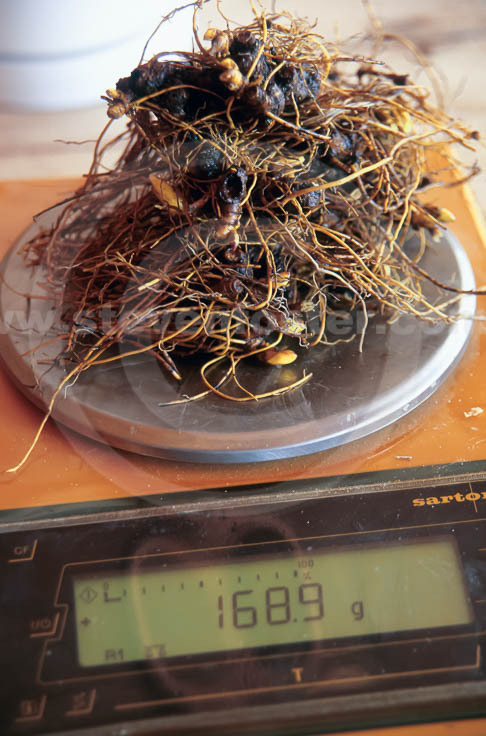 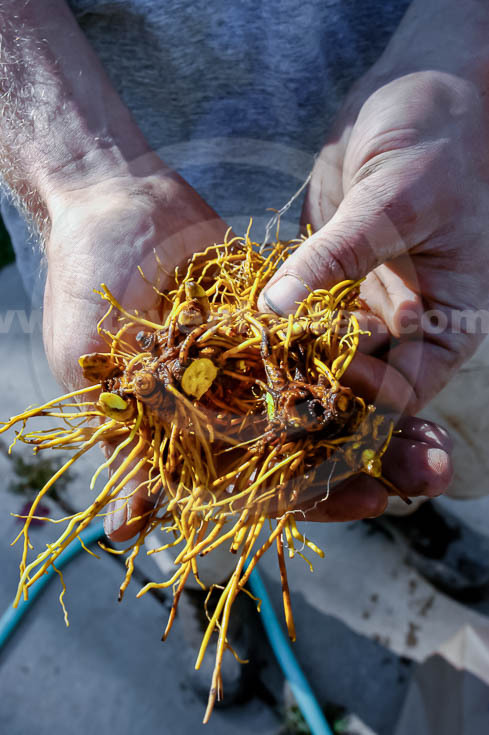 Photos of Hydrastis canadensis, Goldenseal rhizome and rootlets, collectively called goldenseal root; fresh, dried and powdered root photos. 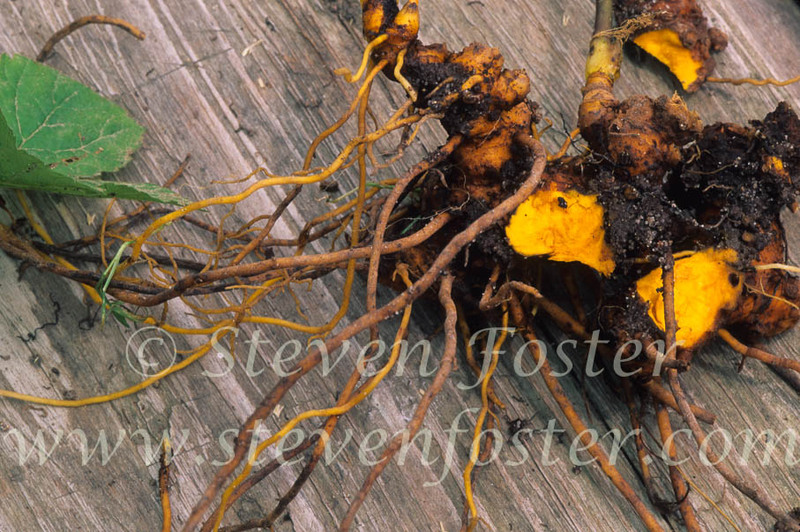 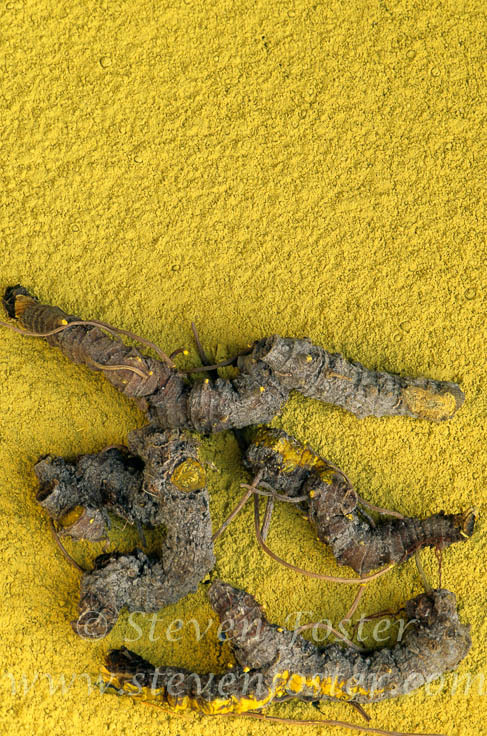 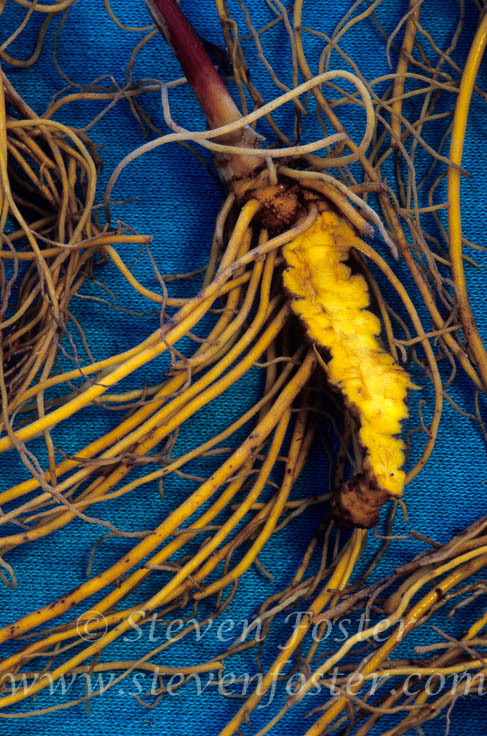 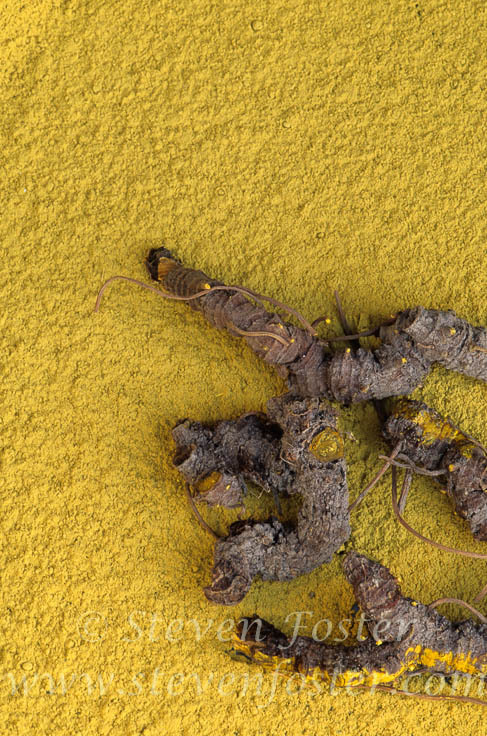 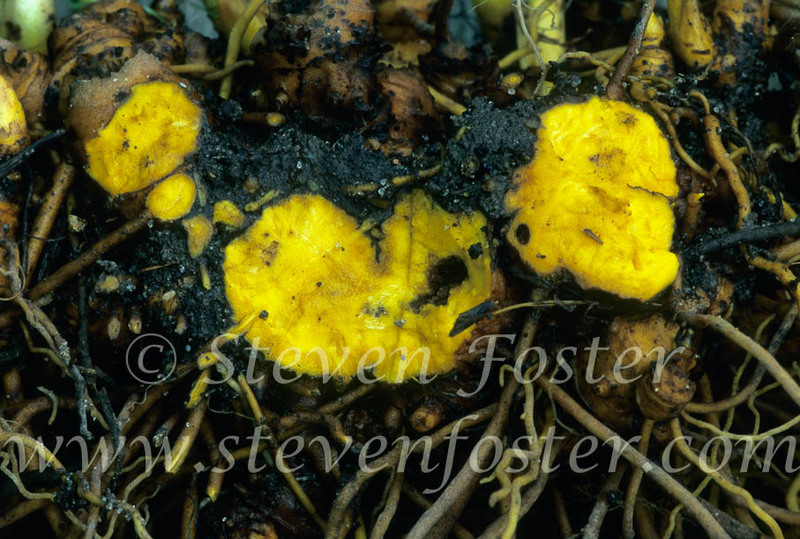 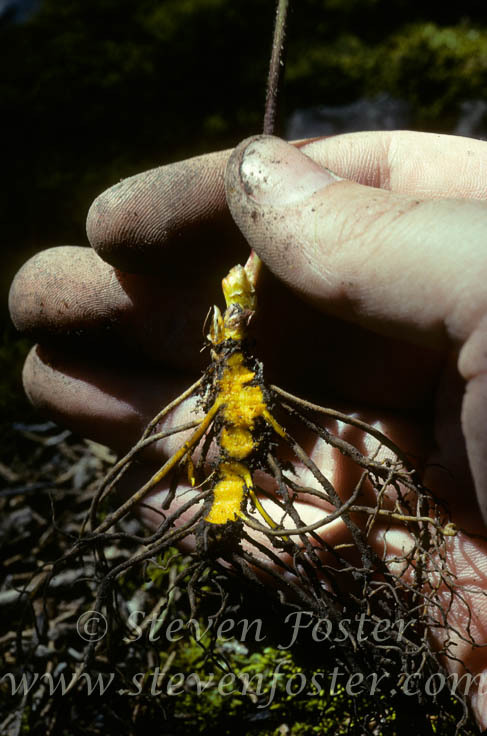 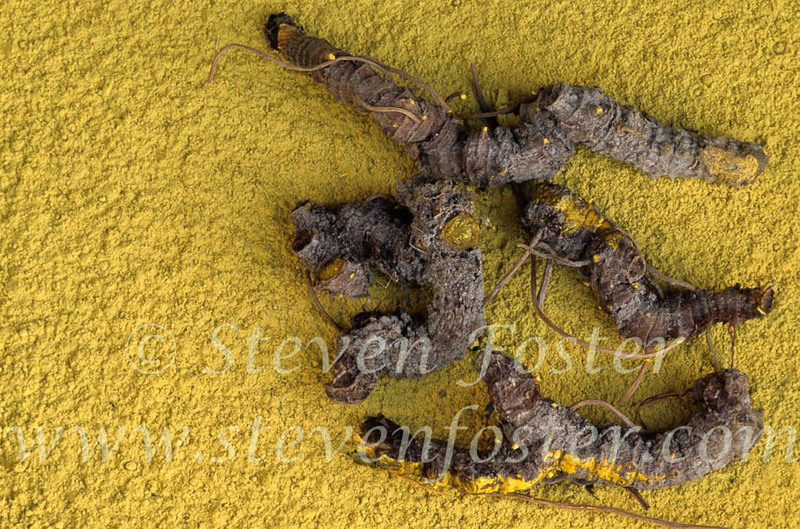 Hydrastis canadensis, Goldenseal root, beaming with bright yellow-orange berberine. 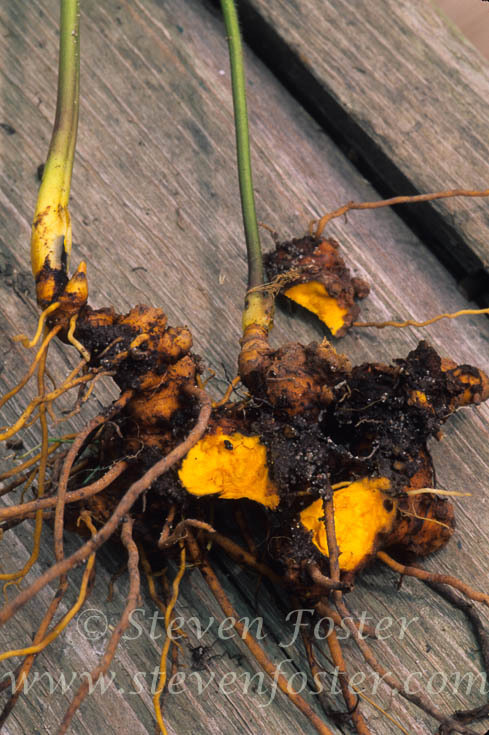 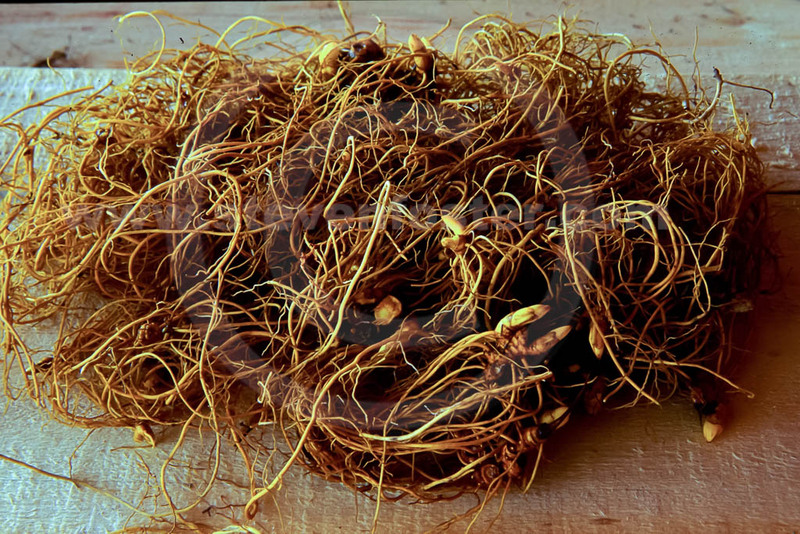 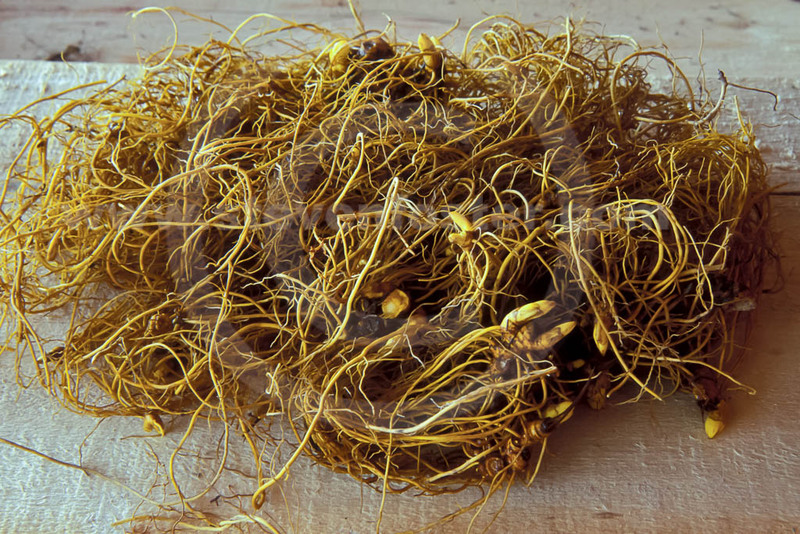 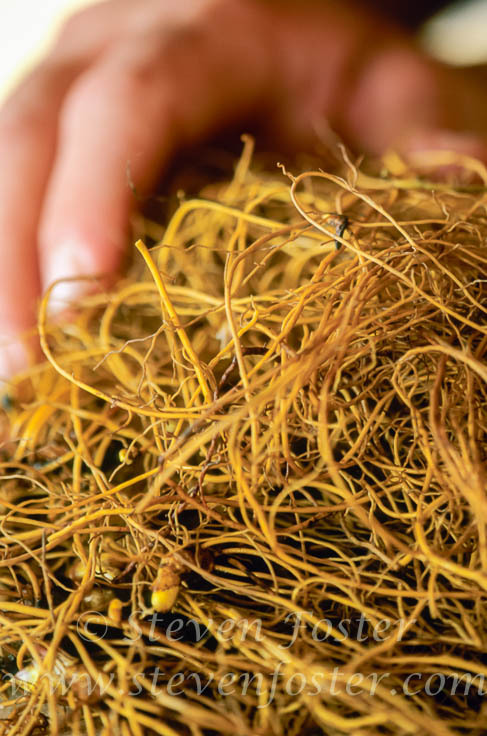 Root traditionally used in tea or tincture to treat inflamed mucous membranes of mouth, throat, digestive system, uterus, also used for jaundice, bronchitis, pharyngitis, gonorrhea. 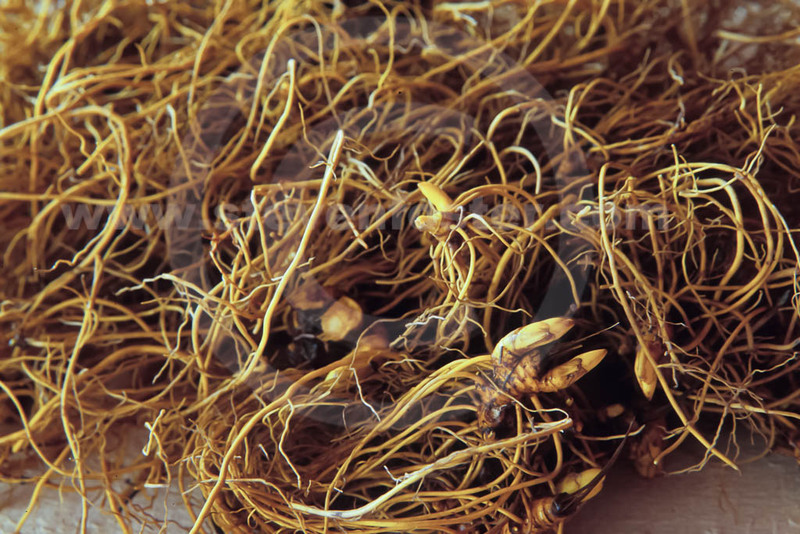 Tea (wash) a folk remedy for eye infections. 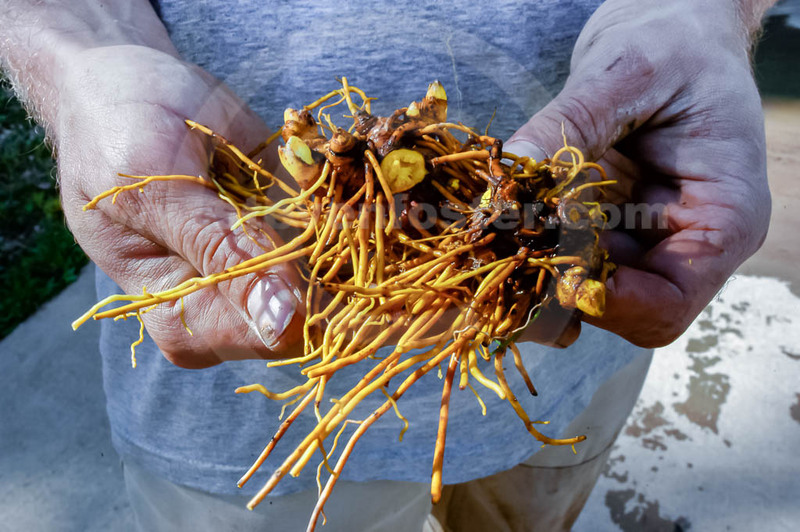 Recent research suggests a synergistic action of the major alkaloids in producing muscle-spasm reducing activity. 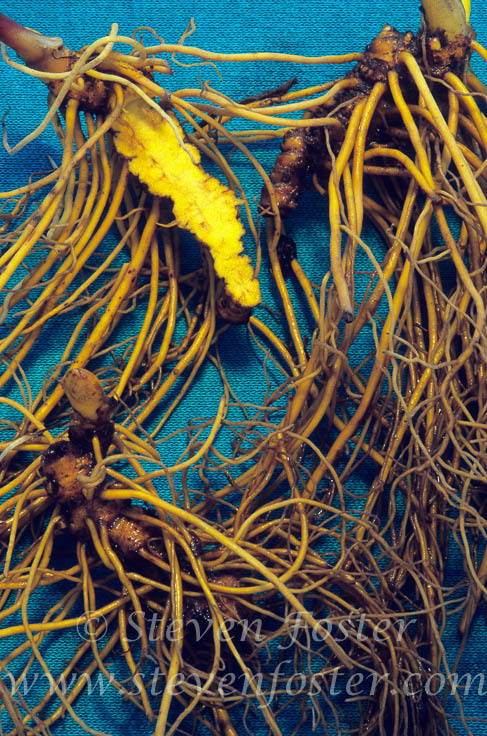 When any single alkaloid was removed from the mix, the effect was greatly lessened.